Now, I don’t want to get political, but I have to talk about an inconvenient truth. Global warming is real, and we are all gonna end up living in the bottom of the sea once the poles melt down. But don’t worry, we will continue our lives in a dystopian world made of boxes and containers and everything will be the same except that we will live in a dictatorship. Oh wait, I believe I’m mixing our reality with the plot of Subaeria, but since we’re at it let’s review the game and we can discuss other political issues next. As mentioned above, the world of Subaeria is completely flooded, so humanity has created colonies under the sea. However, the new world is ruled by an evil dictatorship in which the high class lives an easy life, while the poor must work under inhumane conditions. And if you are found breaking the law, all your family is killed. Our story follows Styx, a young hacker that cheats the system, but gets caught, causing the death of her family. With nothing else to lose she starts her journey of revenge against the ruler of Subaeria. While the story is simple, it does help set a goal for the game that the player can follow. My problem with it is that the villain is presented as a ruthless dictator. But the only evil thing that we see him do is kill Styx’s family, which happened because she deliberately broke the rules. While I agree that killing is bad and an extreme punishment, the fact remains that Styx is not technically good. She’s not working towards a revolution, she’s just after vengeance for something she caused, so I couldn’t really relate with her. 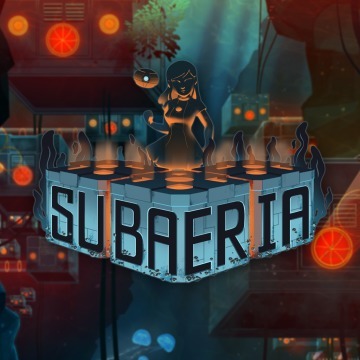 In regards to the gameplay, Subaeria is a mix of Rogue-like and puzzle games. Styx has no way to destroy the robots that are after her, so instead she uses a drone to turn the robots against themselves, or trick them into environmental traps. 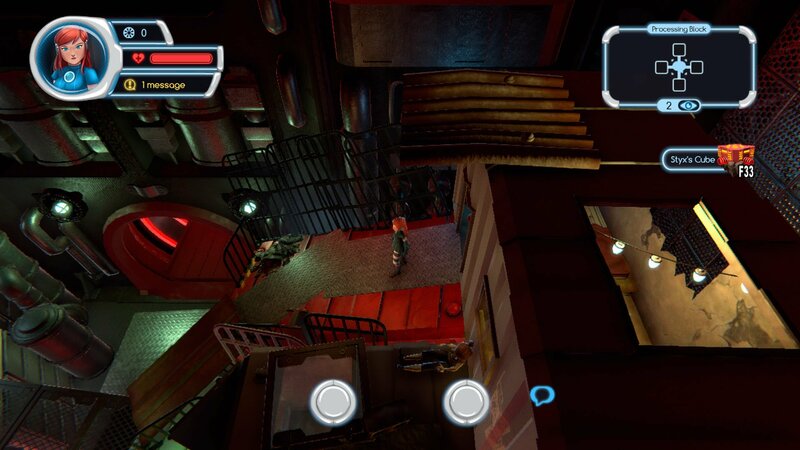 Each level, which the game calls labyrinths, is divided into several rooms. 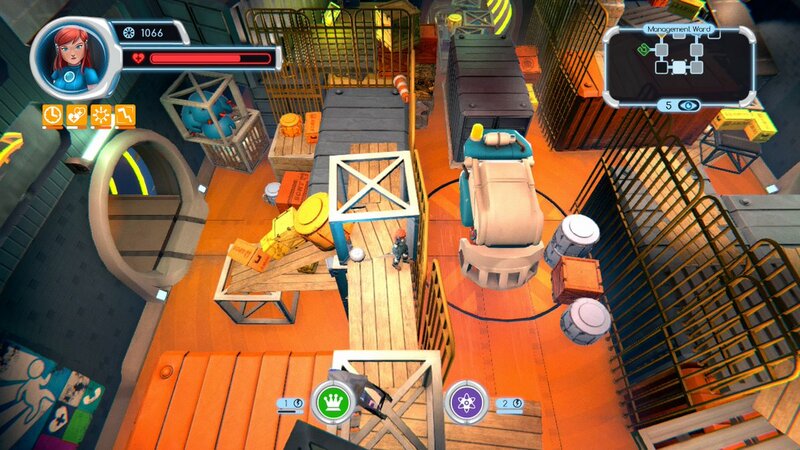 Some rooms include NPCs that can help you or sell items to you, while others are enemy levels which you cannot exit until you defeat the specified targets. Enemies in the game have different colors, either yellow, blue or gray. The gray enemies can destroy the blue or yellow, while yellow can only destroy blue and vice versa. 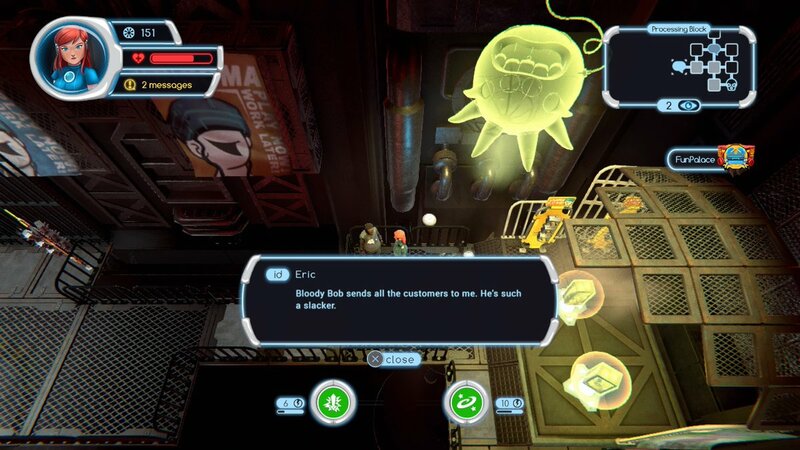 The environmental traps are also coded in the same way so you have to either trick them by posing as the bait yourself, or using your drone to affect the behavior of the enemies. By default the drone doesn’t have any abilities. But you can find up to two Apps that can be equipped and grant different abilities, like controlling an enemy robot, pushing them, or creating a hologram of Styx, to name a few. Since the game is a Rogue-like, if you die, you have to start from the beginning, with no Apps and no health upgrades. The layout of the labyrinth changes, and while there are some specific rooms that always reappear, most of them are randomly generated with either more or less enemies or in different positions. During your run you can buy or find new Apps, but this just increases the probability of finding them in the future. There is no way to start the game with a unique App or more life, for example. For me this makes the game a bit dull, and basically leaves it all to luck that a room with a life upgrade spawns or you manage to get enough money to buy the health upgrade after each boss. I understand this is a staple of the genre but to be honest I’m not a huge fan of it. Preferences aside, I did find some issues with the game at its current state. First there is a serious issue with frames dropping. When there are too many enemies on stage, or too many visual effects, for example a storm on a boss fight, the frames can drop suddenly, which will lead to getting hit by mistake. Another issue I have is that it’s a bit difficult to calculate jumps, as Styx’s jumps are too shallow. Some bosses have laser beams that you need to jump over, which is quite hard because it’s difficult to calculate them. And finally you have a dodge which doesn’t seem to have any invincibility frames so I found it useless when dodging bullets. Also, the game saves at the beginning of each labyrinth, so if you have to leave, you can just quit and continue at the start of the level at a different time. This was really nice, except that when you load it again, it will ignore any health upgrades that you have, so it would be better to leave the game paused and keep your life than depend on the save feature. Another issue I had was that I fell off the stage after loading a save state. It seems that it didn’t load a train that was supposed to block an exit. Finally there’s an option on the main menu to see what you have unlocked that just doesn’t work. 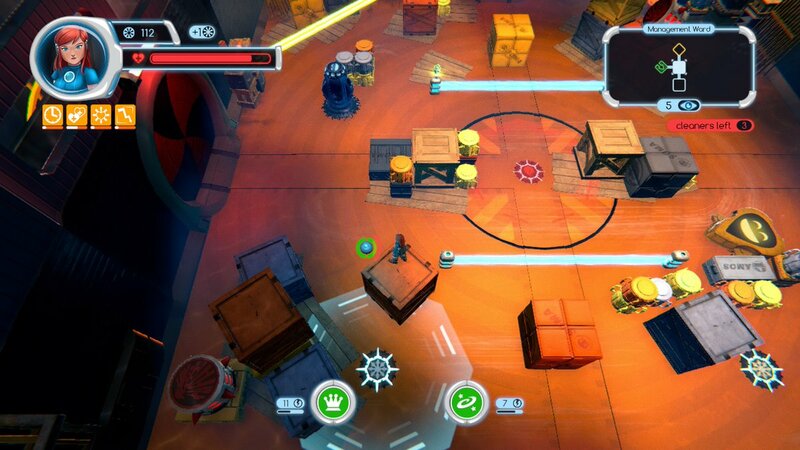 And just after writing most of this review, I got stuck on a boss after killing it, as the doors wouldn’t open. There are just too many different issues and bugs that a finished game shouldn’t have. In regards to the art style, I really like the game’s graphics and art direction. The world is an interesting dystopia and while I do have some issues with the existing plot, I feel that Subaeria is a place that could be expanded even more. The game uses certain illustrations to narrate the plot in a comic style which I really liked, alongside with the character design. The music has a dark, sad tone which goes quite well with the backgrounds and environment. However the volume of it is a bit low so most of it gets muted by the explosions and sound effects. Nevertheless, if you pay attention there’s a nice soundtrack to be found. To wrap up this review, I really want to like Subaeria. The concept of tricking enemies into killing each other is really good and something that I haven’t seen before. The fact that it can be translated into some sort of puzzle only made it more interesting for me, but personally I feel that if it was a more traditional puzzle game with predefined levels, it would have been better than going for the Rogue-like crowd. In the end since you have to be able to play the game with any App you can just play the game with no Apps at all—that’s what I did for most of the game, which I feel defeats the purpose of having different runs with different items. It took me around nine hours to beat the final boss, with a couple of game overs and barely 30% of unlockables. So if you enjoy the genre you can certainly squeeze a couple of hours out of this game, which for $15 seems fair to me. But in the end this is a game that I can only recommend for fans of Rogue-likes that can overlook the frame drops and other issues mentioned above. If you were interested in the puzzle-like elements, then I recommend you to look elsewhere.